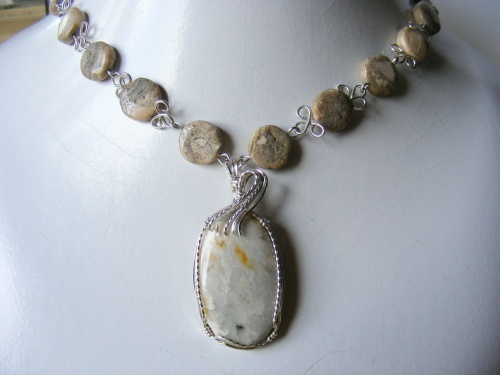 This necklace is made with pretty agate stones and enhanced with a Maine mined stone pendant. Very quite but a huge statement. The clasp is sterling silver Bali. Necklace is sculpted in argentium silver and measures 18".